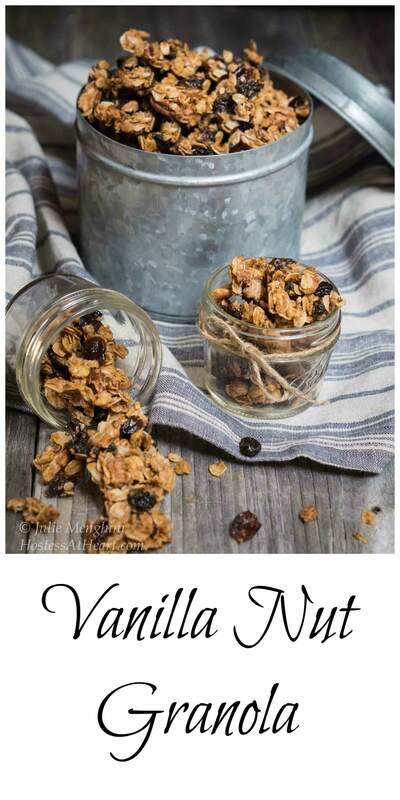 Vanilla Nut Granola makes a convenient healthy snack when you’re on the go, or a great way to add fiber to your yogurt. When granola first came onto the market, right after they invented fire, most of it tasted like cardboard. A lot of it still does in my book. 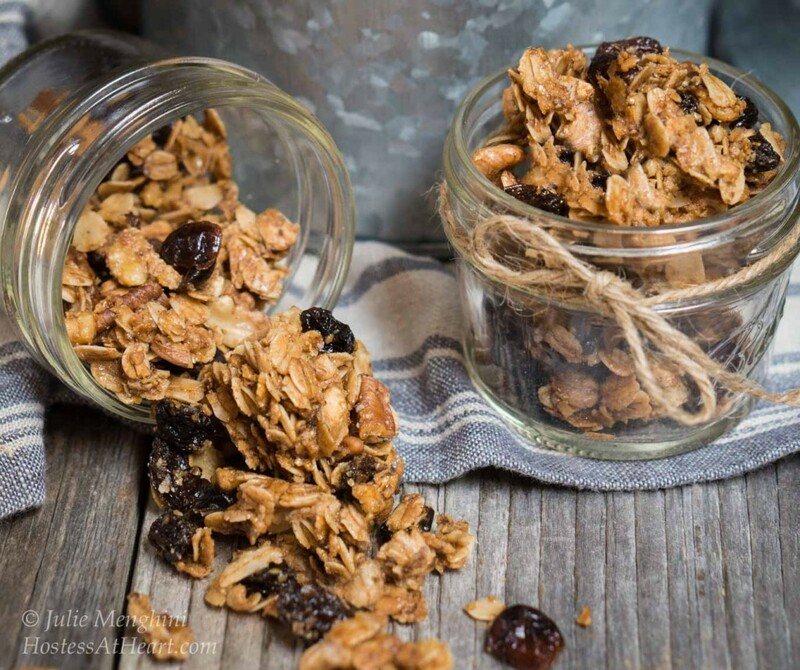 I think this Vanilla Nut Granola is delicious, and while not sugar-free, it is full of good for you ingredients. 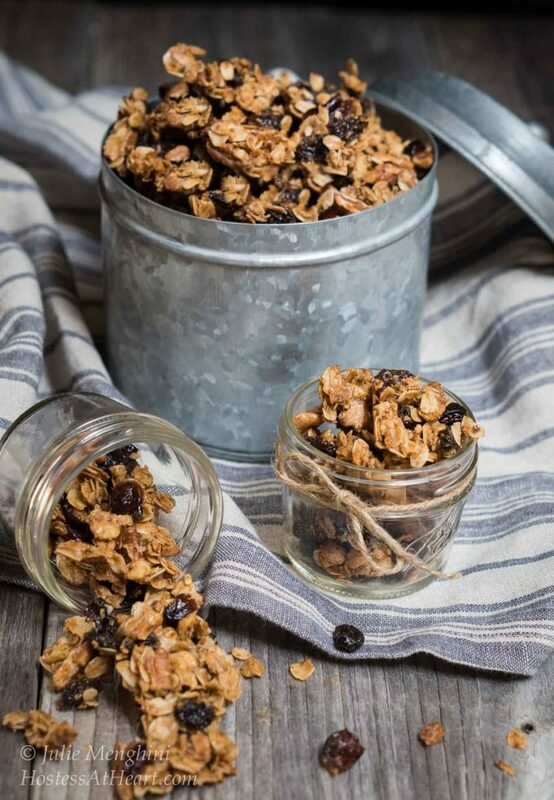 Granola is touted as a healthy food, and unfortunately, commercial granola makers rely on folks that don’t read labels, to buy their products. If you are an ingredient reader, you know better. In some cases, you would be better off grabbing a candy. 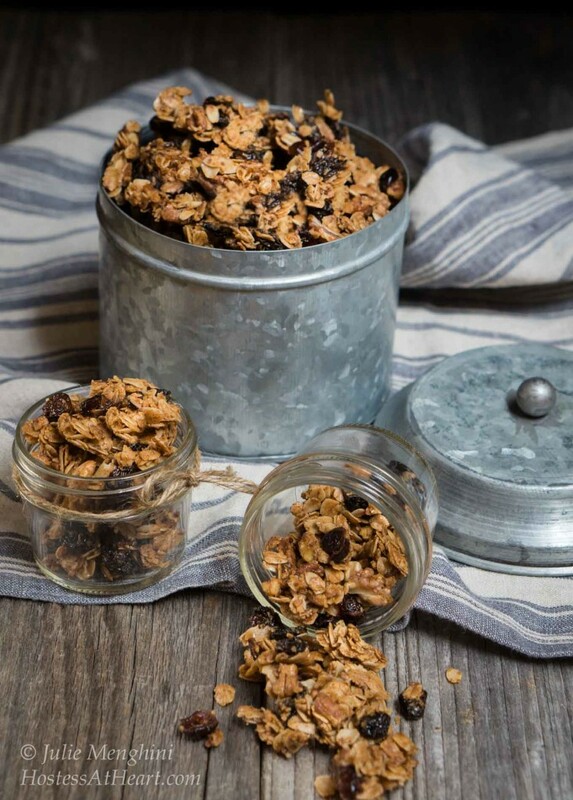 Granola can be full of sugar and preservatives, or the servings are so small that you’re eating way too much. 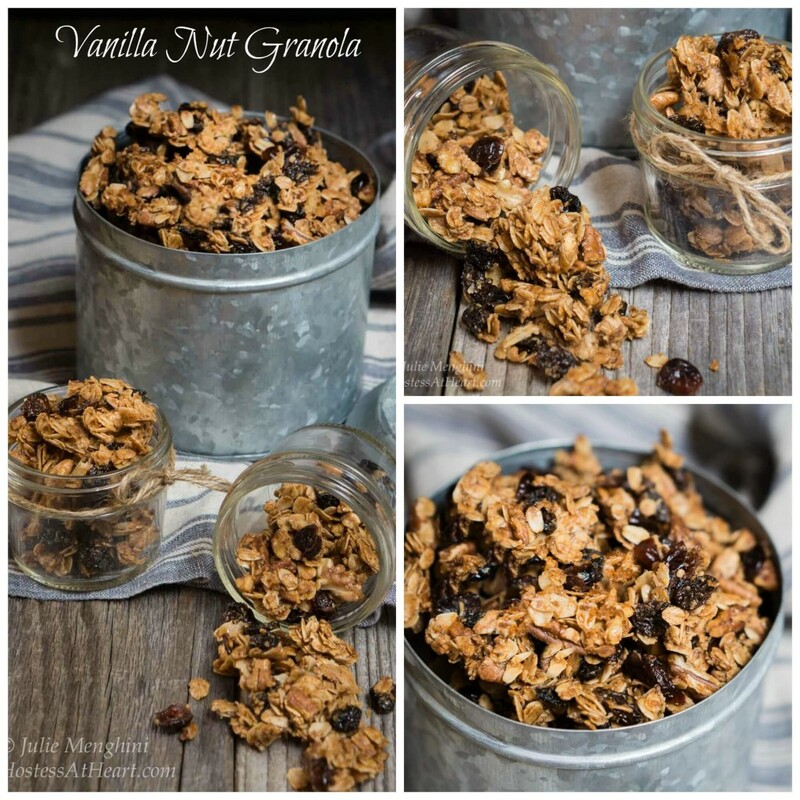 I’ve been making and tweaking this Vanilla Nut Granola for several years now. 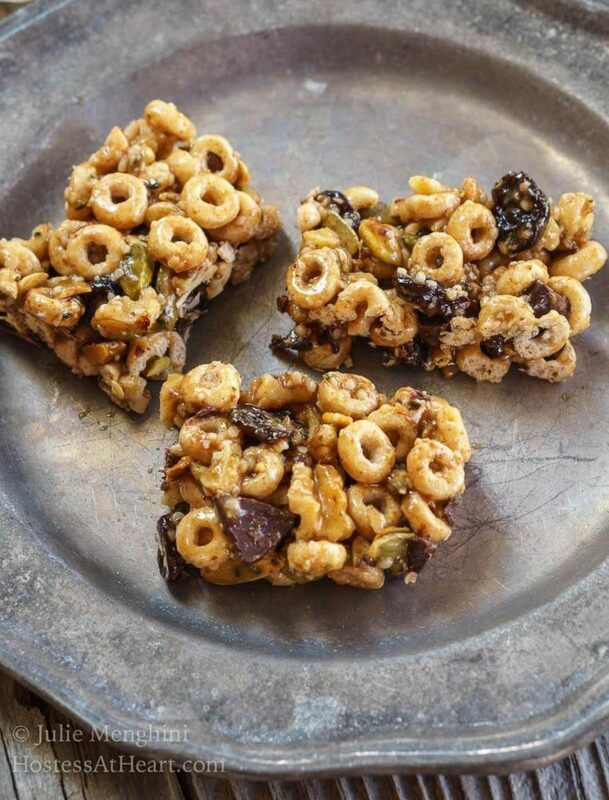 This recipe is one of the snacks I keep in my arsenal. John and I like to ride bikes. Twice I’ve run out of energy on the way back. It is the worst feeling. They call it bonking. You need to fuel your body so that this doesn’t happen, and fruit or granola is a great way to do it. I also like to keep granola handy when we are traveling or adding it to my morning yogurt for some added fiber. 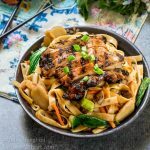 One of the reasons that I love this recipe, is because I can change it up so easily. I love raisins and dried cranberries, but John doesn’t so I will make his with dried tart cherries. Also, he doesn’t think he likes coconut oil, but what he doesn’t know….. don’t tell him because he will second guess every batch that I make from now on. One thing that I never change is the vanilla. 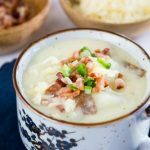 It adds so much flavor, and makes my kitchen smell so good! I put 2 oz servings into snack size bags. Make sure you have your containers ready to fill otherwise a couple servings may go missing! You can store them in an air-tight container or you can throw them in the freezer if you will not be eating them soon. Vanilla Nut Granola makes a convenient healthy snack when you're on the go, or a great way to add fiber to your yogurt. Preheat oven to 300°F. Lightly spray a rimmed baking sheet with nonstick spray or line it with parchment paper. in a large bowl, mix oats, pecans, walnuts, raisins, cranberries, brown sugar, flaxseed and cinnamon. Combine coconut oil and honey in small saucepan; bring to a simmer over medium heat. Remove from heat; stir in vanilla. Spread granola on prepared baking sheet. Bake for about 30 minutes, or until golden brown, stirring half way through cooking. Store in airtight container. Can be frozen. 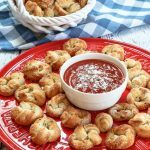 If you need a couple more great snacks here are some of my favorites! “Also, he doesn’t think he likes coconut oil, but what he doesn’t know” LOL! Story of my life. My husband recently did a load of laundry and when he asked where the fabric softener was I told him I’d been using vinegar in its place for months now. He tried to tell me he could tell the difference, but he failed miserably because by months I meant its nearly been a year! The granola looks great! I have several granola recipes and never stopped to consider how wonderful it would be with more than 1/2 teaspoon of vanilla. I’m definitely going to try this one out. Thanks for sharing. Ha! Angie my husband says he can’t stand vinegar and can pick it out from a mile away. What does he think is in his vinaigrette! Thank you so much for stopping and making me laugh! I need to make my own granola and your recipe sounds perfect. Whole Foods sells parfaits with yogurt, fruit and granola that I sometimes indulge in 🙂 Heck I should make my own! I love Whole Foods, but it’s one of those stores where my eyes are bigger than my stomach so I end up bringing home more than we can eat. Good morning Jhuls! I know some times I’m just a smarty pants. This looks great! It’s been on my list to try to make my own granola for a while now so I must give this a try! Thank you Caroline. 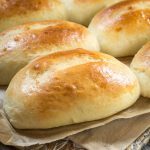 It is so easy to make and delicious. I’m a fan of homemade granola. The pictures look rustic and beautiful, Julie. Thank you so much Apsara! LOL @ before they invented fire. 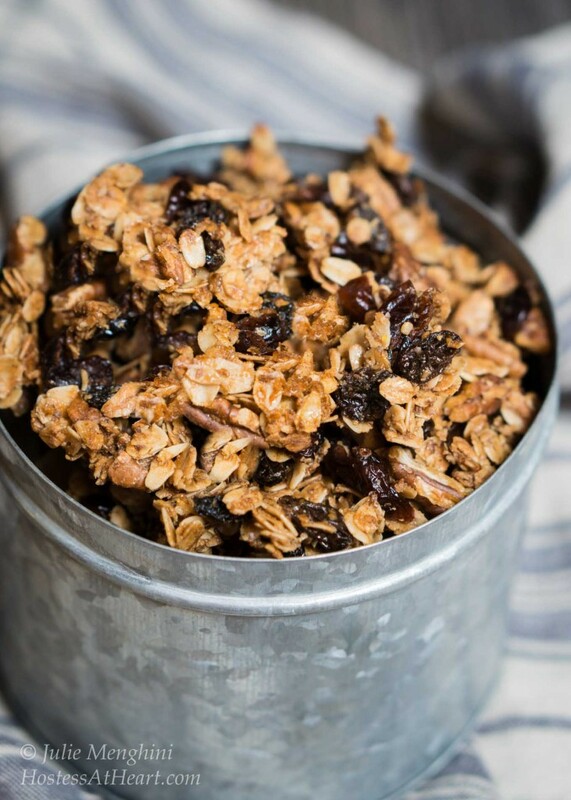 I do love a good granola recipe :). Thanks for sharing! LOL, you are the only one that has mentioned that! Thank you for stopping by. Brilliant idea Julie! 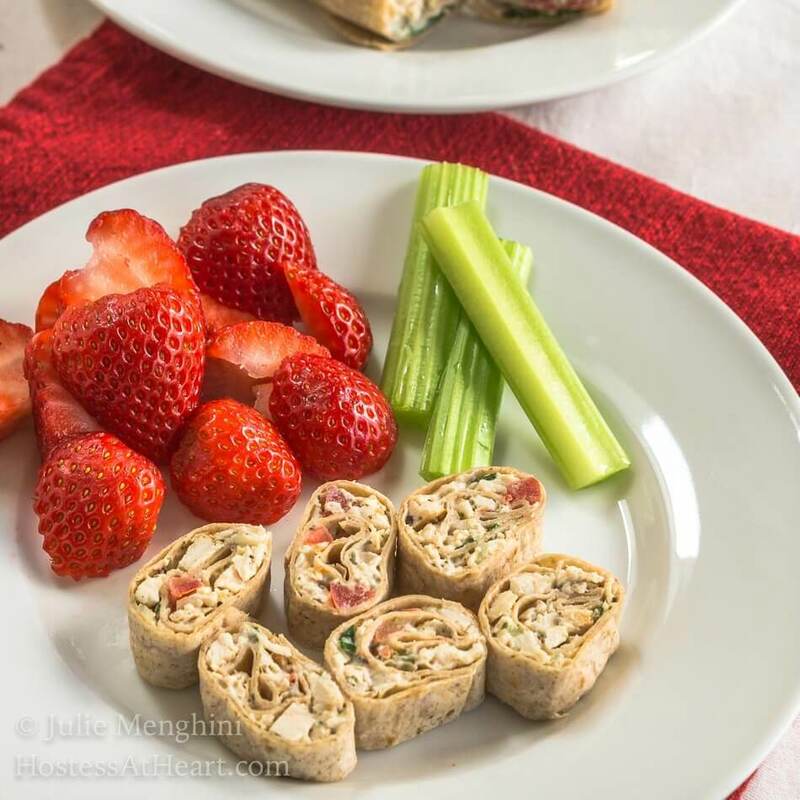 So healthy too, great snacking treat on a hike or even at home. Will definitely be trying this out. Thank you Loretta! How was your first day in the gardens? I thought of you and the joy you must be experiencing.